The holidays are steadily approaching, but fear not, I've got just the thing to help you knock out some shopping. 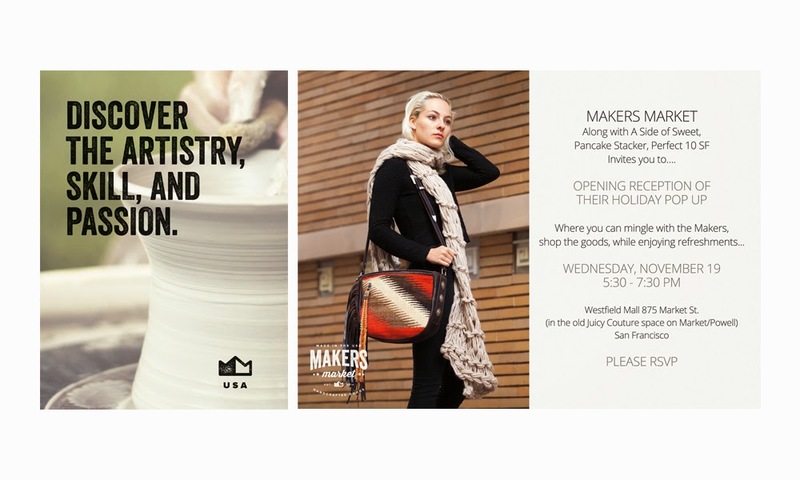 Join me this Wednesday, November 19th for a fun little holiday pop-up shop with Makers Market, a purveyor of handmade in the USA, organic, sustainable or ethically-produced products. I'll be there alongside Kelly of A Side of Sweet and Caroline of Perfect 10 SF. If you're looking to support the makers this holiday season, this is your chance to do it. After the jump, see my top picks for the holiday season. A good tote is hard to find, but leather shopper combines function and fashion perfectly. What's the holidays without a little sparkle? Slip on these stackable hammered cuffs for size - your wrists will thank you. 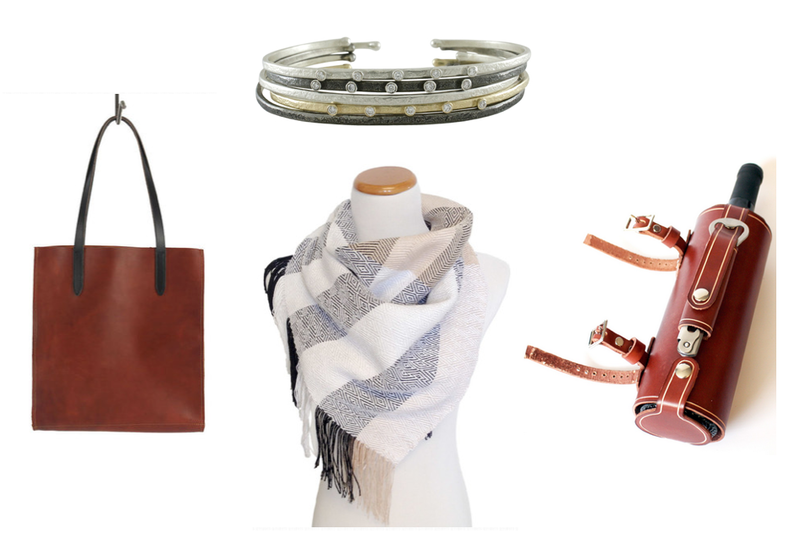 A scarf is a staple for colder weather, if not for the warmth, then at least for the style. The only thing I'm missing here in SF is a cute bike to ride around on the weekends. Still, that doesn't mean I can't dream about how I'd dress it up - skip ahead to next summer and this leather wine bottle holder would be perfect companion for picnics in the park.